Pandora Lucky Four-Leaf Clover Pendant. Made from sterling silver, this four-leaf clover pendant is the perfect addition to a necklace or bracelet. 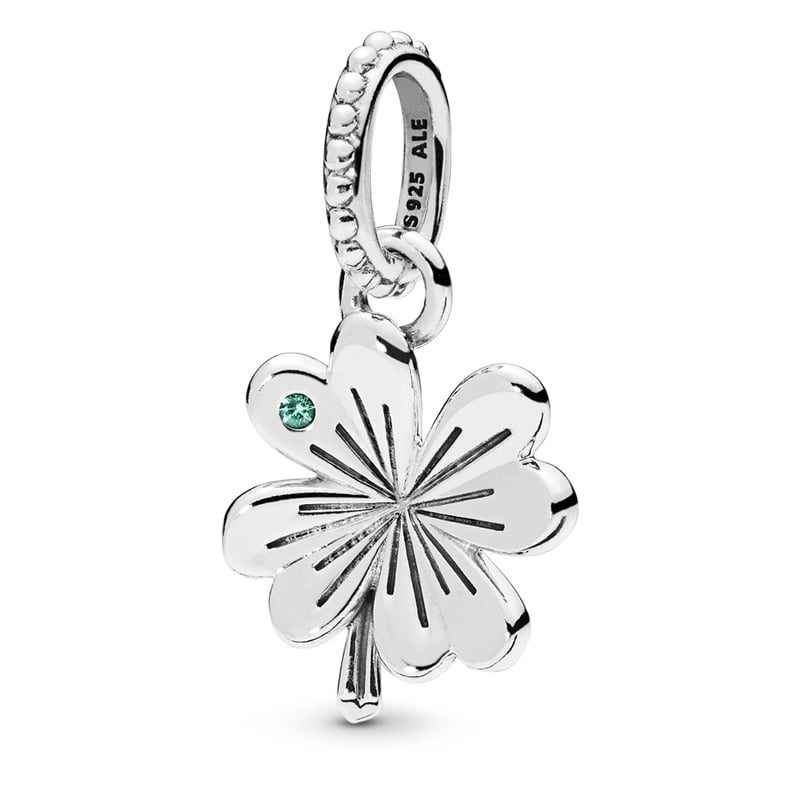 Exquisitely detailed, it even includes a singular aqua green crystal to enhance the beauty of this lucky charm.